With all the invasive procedures, injectables, chemicals, and countless lotions and potions out there, isn’t it time for a simple solution that works? Finally, there is one. TempSure Envi is a new radiofrequency treatment that minimizes fine lines and wrinkles, tightens skin, and improves cellulite. It’s safe for all skin types and levels of sun exposure, so it fits perfectly into any beauty maintenance routine, any time of year. 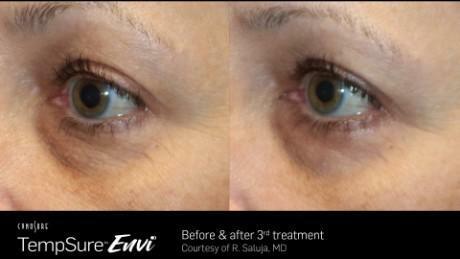 With TempSure Envi, there’s no surgery, no needles, and no downtime, so you can immediately get back to what you were doing, and look great doing it. Does it hurt? 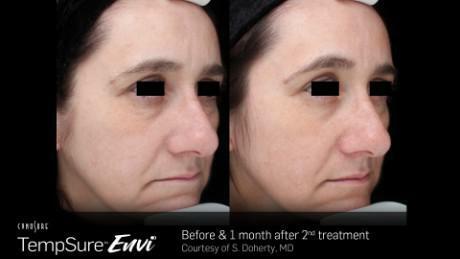 TempSure Envi has been carefully designed with comfort in mind to provide you with a comfortable and effective treatment every time! 99% of patients described the treatment as comfortable. How long are treatments? Treatments last about 30-60 minutes depending on the area being treated. There is absolutely no downtime allowing you to return to your normal activities immediately. When will I see results? Instantly! 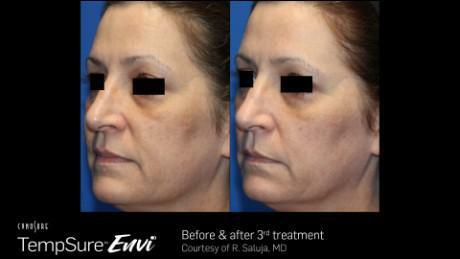 You will leave with a natural glow, and what patients describe as a “tighter” feeling. The best part is that collagen will continue to rebuild over time, enhancing your skin’s appearance. Is this right for me? 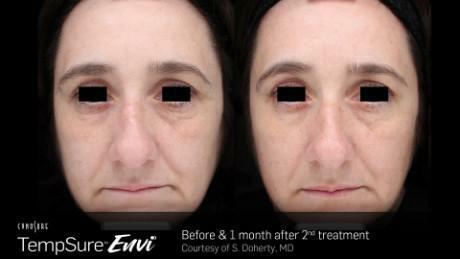 TempSure Envi is right for everyone! Treatments are extremely safe and can be performed on all skin types. Unlike other technologies, treatments can be performed all year round. Why TempSure Envi? 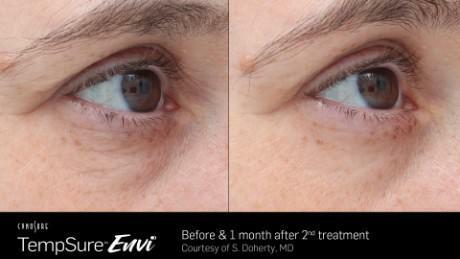 TempSure Envi is a simple solution for beautiful skin. 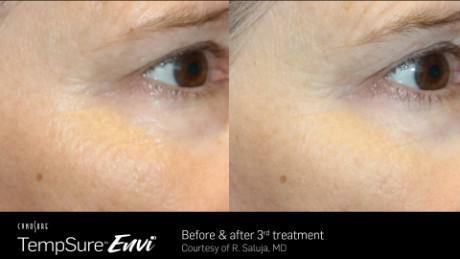 It provides a soothing patient experience while delivering beautiful results. Each treatment delivers consistent heat, giving you an effective, yet comfortable treatment every time. How many treatments are needed? A series of treatments is always recommended, but every patient is different. The optimum number of treatments can vary, so please work with your provider to develop a plan that is right for you!